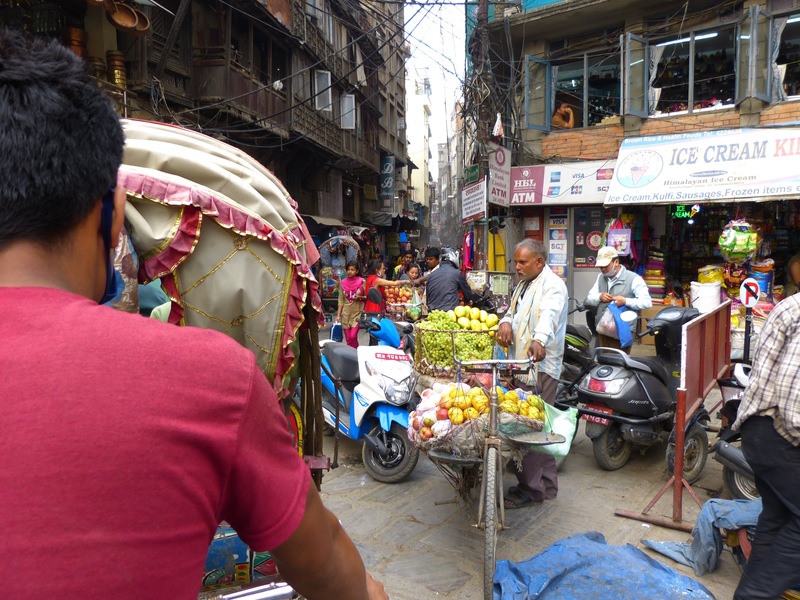 Not even a pedicab ride through Hanoi’s old town could prepare me for the rickshaw tour of Thamel, the tourist section of Kathmandu. There is no way these photos can capture the experience–the bumpy roads, the breakneck speed, the sounds and smells. It was quite a ride! 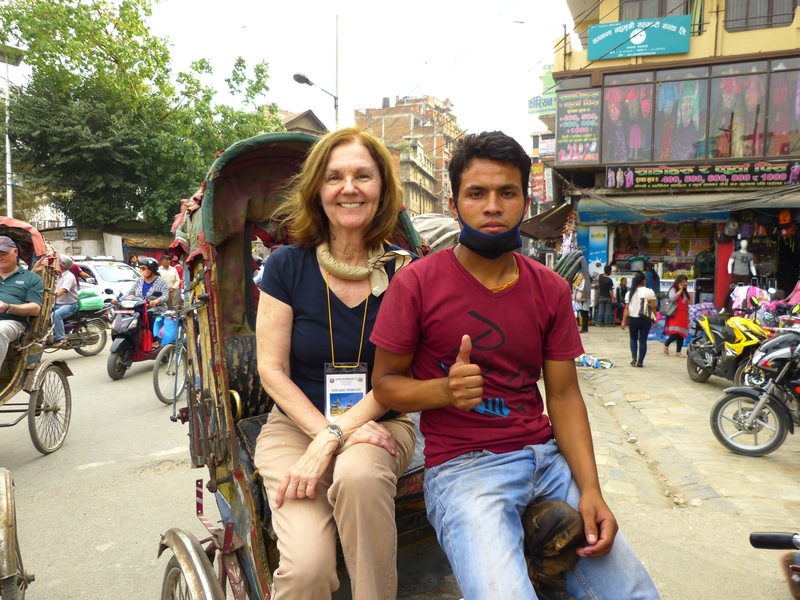 My driver–i survived, and am still smiling! Great photos from a bumpy ride! It looks like fun! Believe me, I’ve thought about my Pennsylvania buddies more than once in this trip. 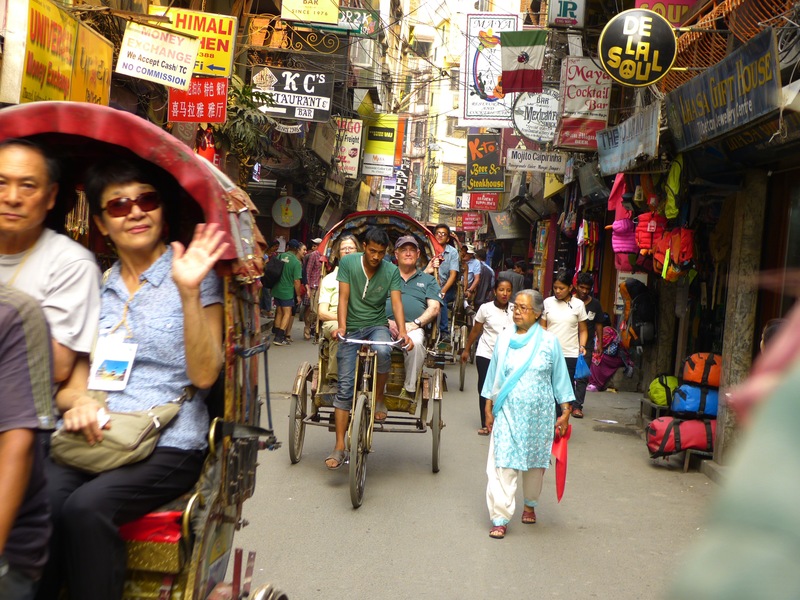 I can still see Linda’s terrified face in the pedicab ahead of me. What a perfect opportunity to have a GoPro! I’m glad you made it to the end all in one piece… and smiling!